Biscuithead and the Biscuit Badgers' biscuity website! Here's our 90th birthday tribute to David Attenborough! If you'd like to sing along, download the sheet music! Faster than a speeding puffin, more chocolatey than a chocolate labrador, descending from apes (if they are tall enough) Biscuithead and the Biscuit Badgers release your ears to play backgammon undisturbed. Tuba, piano, drums, ukulele, tickling and rubbing your senses into a fun stew. 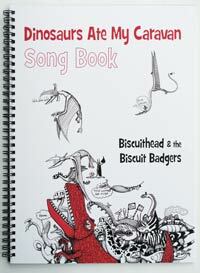 Enjoy yourselves, if you can; Biscuithead and the Biscuit Badgers are greater than you think. "My favourite album of the year...every track on it is a gem. The lyrics are a thing of beauty"
Josie Tothill was just 14 when she made it. 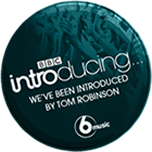 We loved it so much we re-recorded Cheese! "Sometimes I love bands because their music is so exquisitely crafted and sometimes simply because it's irresistibly daft. In the case of Biscuithead and the Biscuit Badgers it's both!" Who needs CDs? Make your own entertainment with this song book. 50 pages long, with all the songs from the new album with the tune, the words, the chords and ukulele tab. You can buy a genuine book or download it.